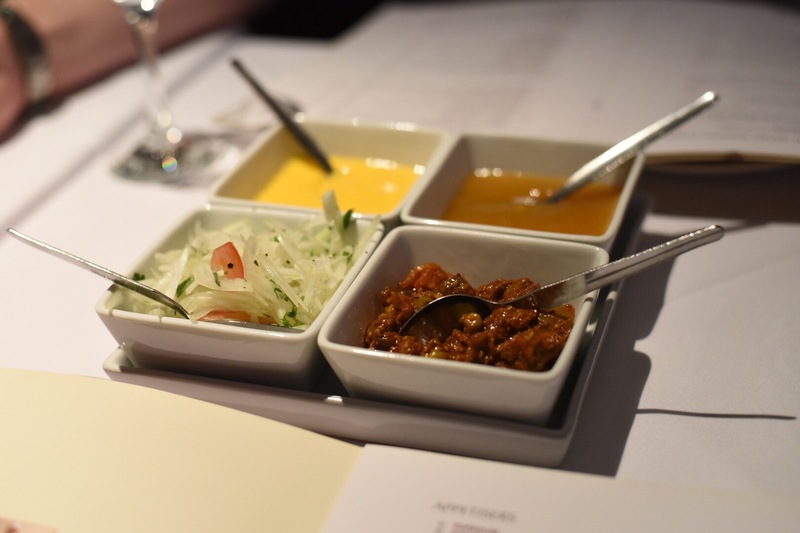 Hmmmm….Indian street food….small plates in Leeds….definitely rings a bell?! 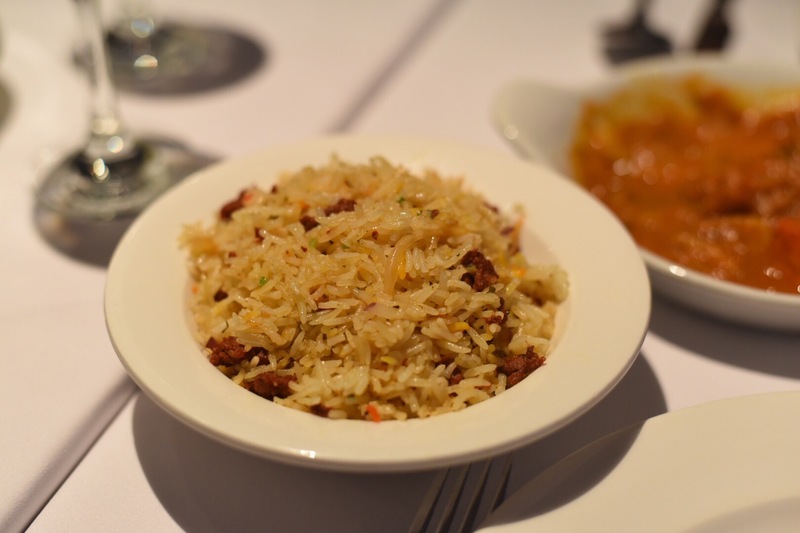 Leeds has its fair share of outstanding establishments – Bundobust and Manjit’s Kitchen automatically spring to mind, then there’s Prashad further afield in Drighlington who’ve flown the flag of great Indian food for years! So when The Cat’s Pyjamas opened in Headingley, I wondered how it would compare to these already well-loved spots, also how it would fit into the area itself. Back in the day, Headingley and Woodhouse Lane were the perfect places for a messy curry, I remember many a memorable night spent at Tariqs, Akmals or even Nafees (a late-nighter, think it’s now the Balti King? 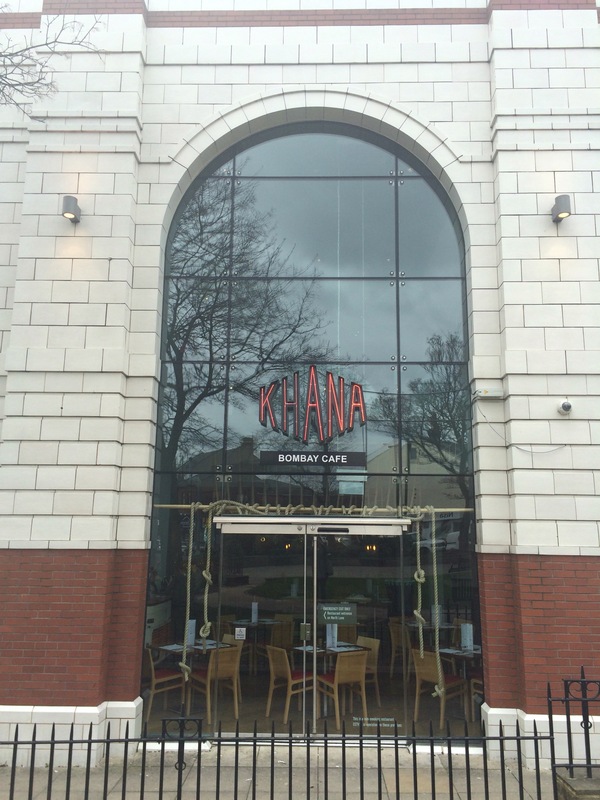 ), so along with Khana Bombay Cafe is there a new breed of curry houses populating this part of Leeds? I’d missed their launch event, but a few positive reviews and tempting food snaps on Instagram was enough to get us turning up on spec a few weeks ago. Already quite busy at 6pm, we managed to nick a table in-between bookings. 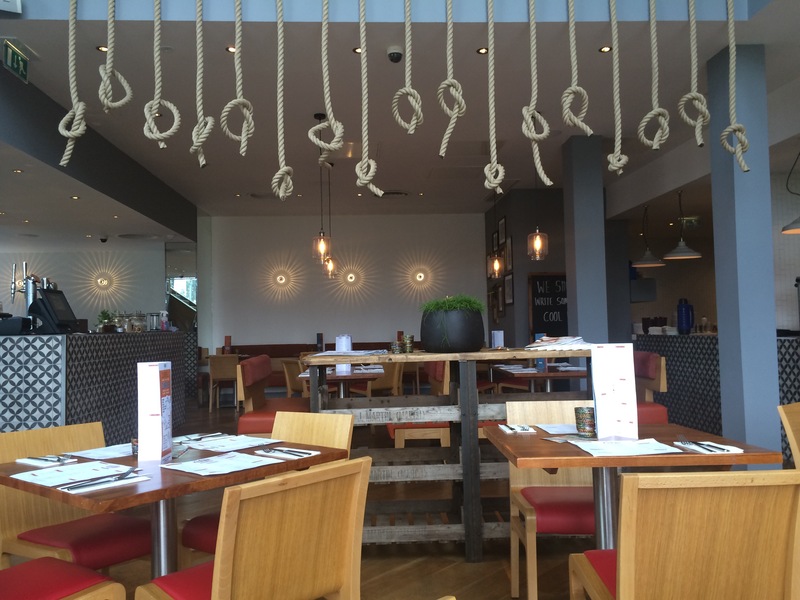 One early plus was the varied gluten free menu, which kept my husband happy! Pity we were still a tad full from lunch at Lupe’s Cantina Mexicana, so instead of ordering a table full we sensibly chose a pickle tray/poppadoms, a couple of starters and a curry with rice. Of the two starters my favourite was the Keralan beef fry, an unexpected dish as the cow is considered a sacred animal in many parts of India, Kerala being an exception. Here the meat was beautifully tender and highly spiced. 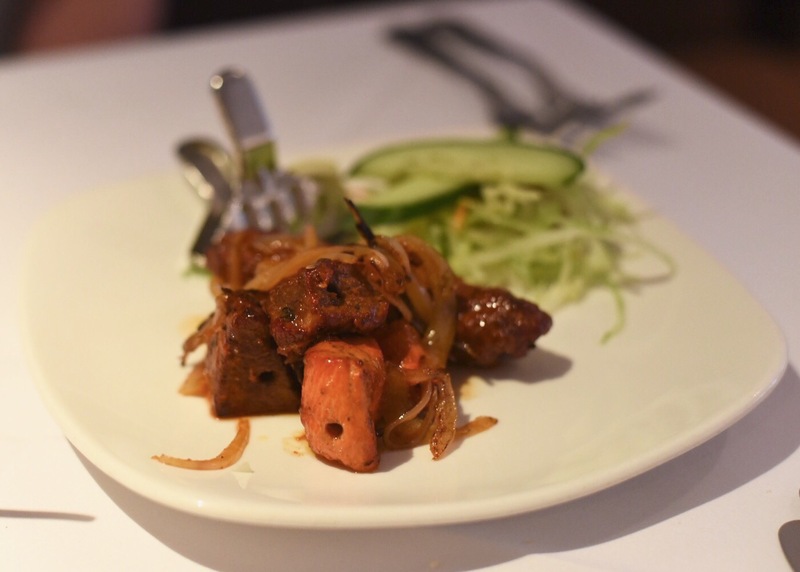 The Tandoori mixed grill didn’t really blow me away – the tikka prawns were juicy and gilafi seekh kebab (lamb) well flavoured, but I found the malai tikka (chicken) lacklustre, even though a mint chutney helped bring it to life I found it a bit wanting. The Kheema Matar was generously portioned up and as it was packed with minced lamb it was filling and I doubt I could’ve eaten the whole thing on my own. This highly flavoured dish came with a warming smack of heat and the addition of peas provided some sweetness to the dish. Overall I liked the food, there were a lot of positives, but still a work in progress. Also considering it’s in Headingley, the place isn’t particularly cheap and I feel you get better value and tastier food elsewhere. Blogging’s taken a bit of a back seat recently, since my move down south life’s gotten in the way and posts have been few and far between; my last post being sometime in October. Even though there’s been the intention of writing, I’ve not really been in the right head space, so with a mini back log stacking up and with Christmas and New Year’s celebrations over with for another year, it’s time to do some catching up. Woking town centre’s littered with chain restaurants, but there are independent spots around including a few curry houses. My continual search for the great and good of the independent food scene has brought my attention to a couple – namely Thali Thali and Bombay Night with differing levels of success, I’d heard promising things about some others, so on successive Friday evenings we found ourselves at Jaipur and Ray’s Indian. 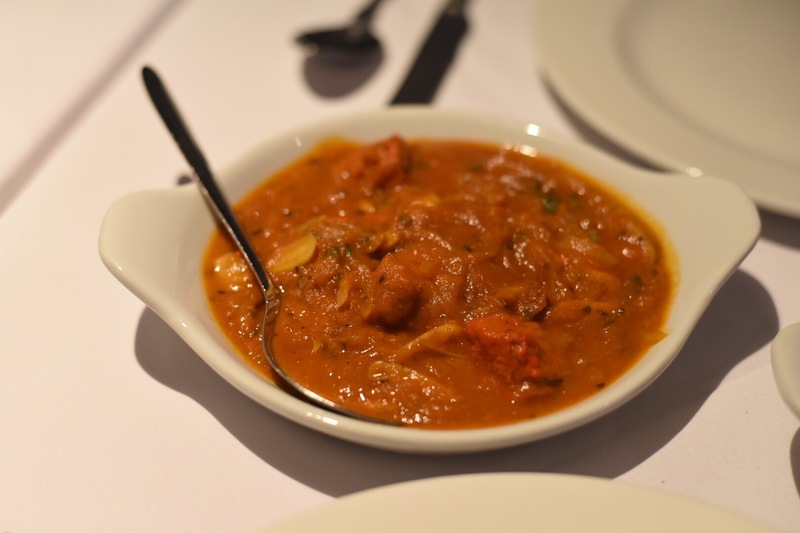 Starting off with Jaipur – located on Woking’s Chertsey Road nestled amongst a hotch potch of businesses, where you’ll find deep fried chicken, tex mex, cheap pints, a few local indies, the bookies and the gym amongst other things. After a disappointing curry at Bombay Night, Jaipur was a completely different affair and somewhere that we’d go again. 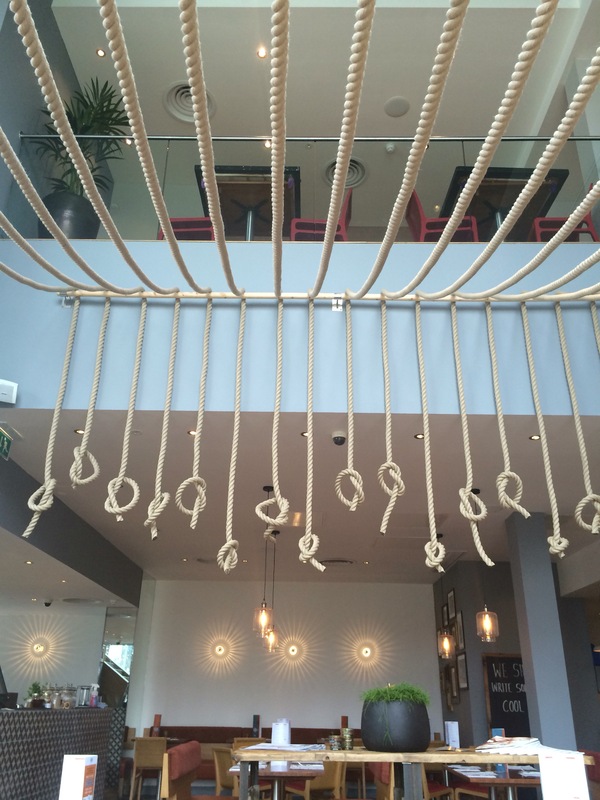 With plush interiors and dim lighting, the food and service was excellent. 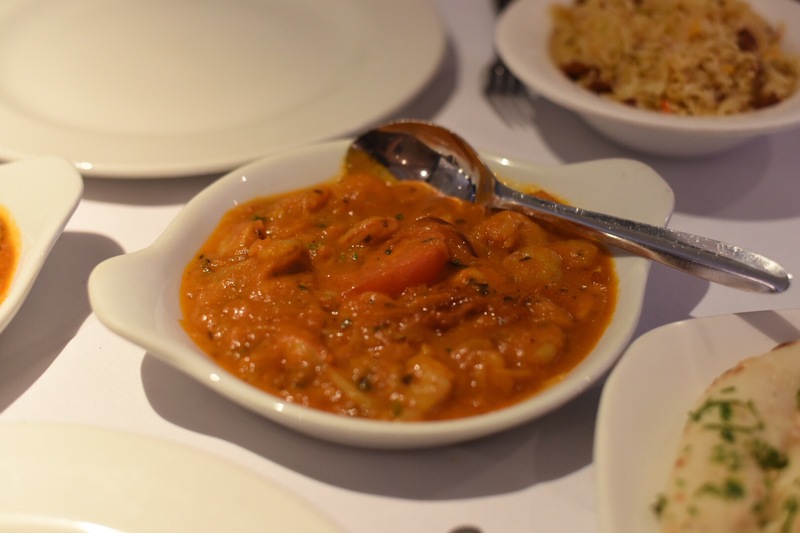 Dishes came with prawns, chicken and lamb cooked till moist and juicy, sauces were thick without becoming cloying, subtle in taste as spices were used in moderation and overall had an air of refinement. Sundries of garlic naan and mushroom rice were also up to the task. For all the plus points, I’m still going to grumble about portion sizes and value for money, however I can’t winge about the food itself as it was all well done. Our second curry was at Rays Indian, a stones throw from the town centre and somewhere we’d walked passed a number of times as it’s on the way to the train station. 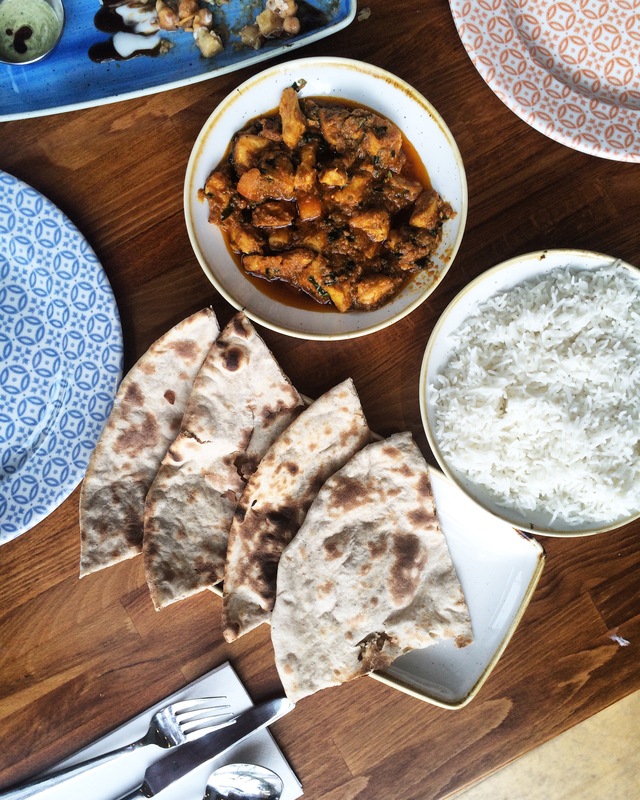 A few months ago award winning Rays Indian came to our attention as part of Woking’s Food and Drink Festival, and the gannets that we are got our hands on some curry; it immediately joined our list of places to try. 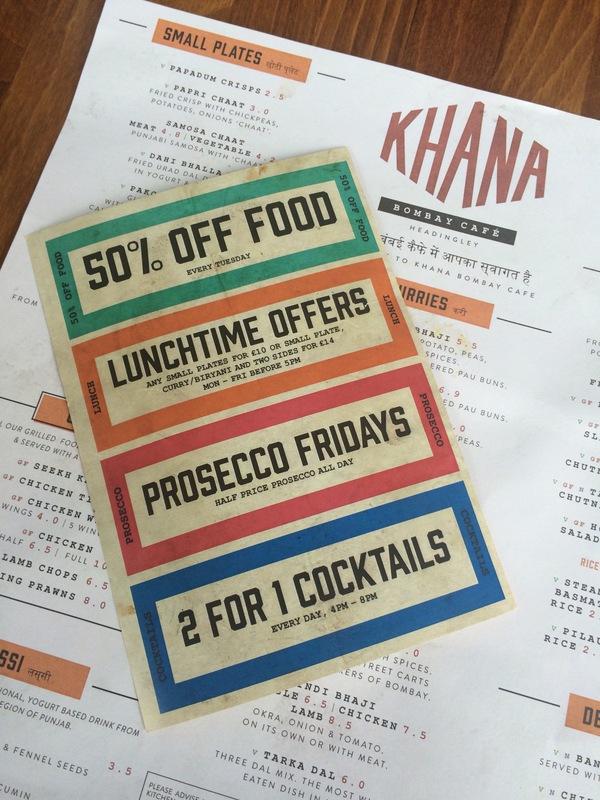 Opening in 2013, their aim was to bring traditional Indian street food to the local area in a restaurant setting – an idea that’s been seen more this year than any other. Great news to hear that Rays Indian is opening a permanent street food stall in the town centre’s Market Walk, it may even be open now. Both Jaipur and Ray’s Indian I’d recommend for a tasty refined curry! This is from a few weekends ago, so sorry for the slow write up! I’d stayed south for a bit with a couple of races in the diary, the second of which was the Nike Women’s 10K. It’d been a great morning running alongside other women, from serious athletes to complete novices, it felt very empowering even when I was being passed on the outside! The sun was out and it turned out to be a scorcher of a morning where I left London after bagging a new PB, a glass of champagne to celebrate and another bit of bling. Once I’d got back to Woking I fancied a Sunday evening curry as you do, a little surprising as when it gets warm I tend to stay away from hot and spicy food. We’d tried Thali Thali recently which was good, but wanted to see what else Woking had to offer so searched the web for ideas. One of the main streets in Woking’s town centre is Chertsey Road, it’s lined with a mixture of well known establishments like Nando’s and the like, but just down the road are Thali Thali and a few others including Jaipur and Bombay Night, both with similar menus the latter possibly a little less expensive. We arrived at Bombay Night first so went for it, getting there early doors the place was empty, however hardly surprising at 6pm. Staff seemed friendly and drinks were quickly ordered, but for whatever reason they brought over a glass of Cabernet Sauvignon instead of Sauvignon Blanc for my husband; he’s allergic to red so we definitely didn’t order it. Thankfully it was quickly remedied, but after a number of minutes of waiting. It’s standard to start off with popadoms and pickle tray, so who were we to argue and for once there was a lime pickle that I actually liked. Usually I can’t handle the spicy sourness probably because I’m a bit of a wuss, but this was much gentler. Not to say we both liked it though as my husband tried it just the once. The starters tasted good, in particular the mixed kebab with really flavourful, tender meat and a kick of heat. They were possibly a tad smaller than we’re used to, but I suppose the saying quality over quantity and all that’s there for good reason. One niggle with my dish were the prawns, it was going well until I saw a few with those awful veins which need removing. Such a shame. Even though our main courses were completely different dishes, apart from one being prawn and one chicken they both looked very similar. Both dishes known for not being particularly spicy were The bhuna tasted good, there was loads of prawns, but again there were a few with those horrible veins running through them, it’s an annoyance removing the horrible offenders and then getting on with eating it. The other half’s garlic chicken was as it’s name suggested with plenty of soft chicken and garlic, so all good there. I enjoyed my curry overall, the sauce wasn’t ridiculously orange like some I’ve seen. The prawns, even though well cooked, it’s really annoying when a number of them are not clean and have that horrible black vein running along them. If I’d found them early on I’d have said something, but I’d already eaten a portion of it. But then it got me thinking if I’d already eaten some of the bad ones…the thought turns me a bit sick. 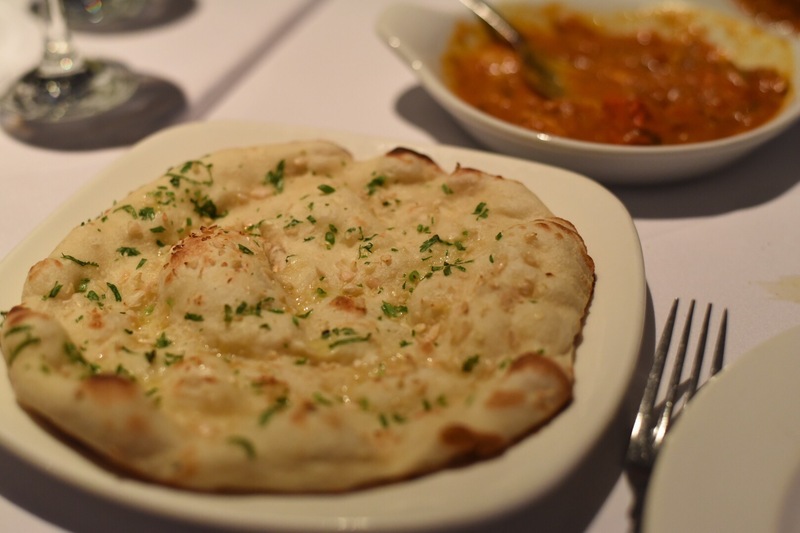 The garlic naan wasn’t the largest I’ve ever had, but it was garlicky and great for mopping up the curry! I think from the two we’ve tried so far, I’d definitely go back to Thali Thali over Bombay Night. It’s World Meat Free Day – who knew, not me until half an hour ago!! I’m a little late posting this now, certainly for breakfast or lunch, however there’s plenty of time to think of dinner, and anyway what about tomorrow and every day after, it’s a handy list to use whenever I reckon. Leeds has lots of fantastic spots whether they are full on vegetarian, vegan or places that have a knack of creating menus which great meat free dishes. The Greedy Pig – their veggie breakfast has almost reached folklore status around Leeds, in particular their cornbread. Don’t get me wrong this duo are meat lovers, but when it comes to veg options they treat it just as seriously! Look out for their supper club The Swine That Dines and their next Roots to Shoots night. The Grub & Grog Shop – with the use of local, organic local ingredients wherever possible, their menu is more weighted towards meat-free dishes. Go for breakfast, lunch, or dinner and don’t expect anything less than really tasty food that’s reasonably priced and pretty easy on the eyes too. Humpit – this Corn Exchange spot is famed for its falafel in pita and the humpit classic, a bargain too. Perfect for brunch or lunch! 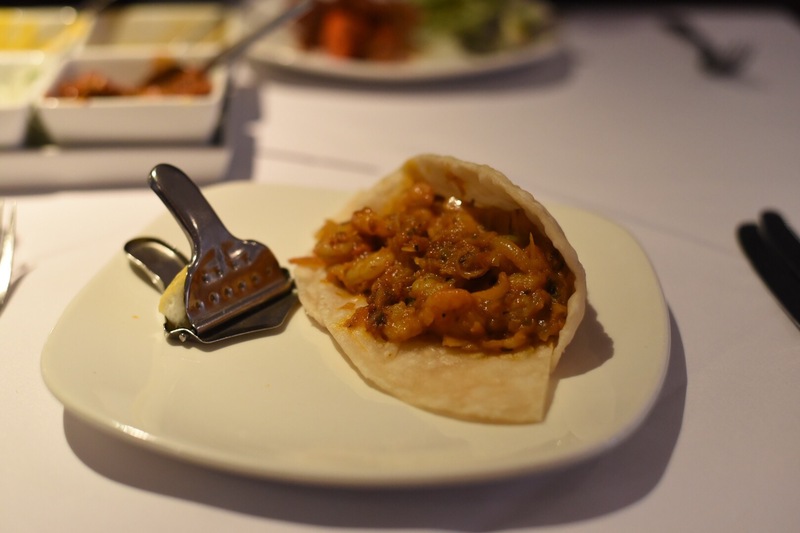 Prashad – this Drighlington based Gujarati restaurant is popular for good reason, as a little trip out will reward you with top notch vegetarian Indian food! There’s a lot to love here, I love the dahi puri, chaat and massala dosa. Bundobust – the love-child of Bradford pub the Sparrow and above mentioned Prashad, this place needs no talking up! It’s a serious challenge settling on a few dishes here, but if i’m pushed my faves would be the egg bhurji, massala dosa, bundo chaat, veg rice dry fry and okra fries….told you I couldn’t stick to a few! Oh, don’t forget the mango lassi to go with it! Tharavadu – this award-winning Keralan restaurant has friendly knowledgeable staff and serves beautifully spiced dishes. Sandinista – not normally talked about for its food, but their kitchen serves up a decent selection of meat free tapas style dishes, ideal for sharing and reasonably priced. The Reliance – I’ve never been disappointed with The Reliance, you’ll get dishes created with ingredients treated simply and cooked well. Their meat-free dishes are made with just as much care and attention as everything else here. 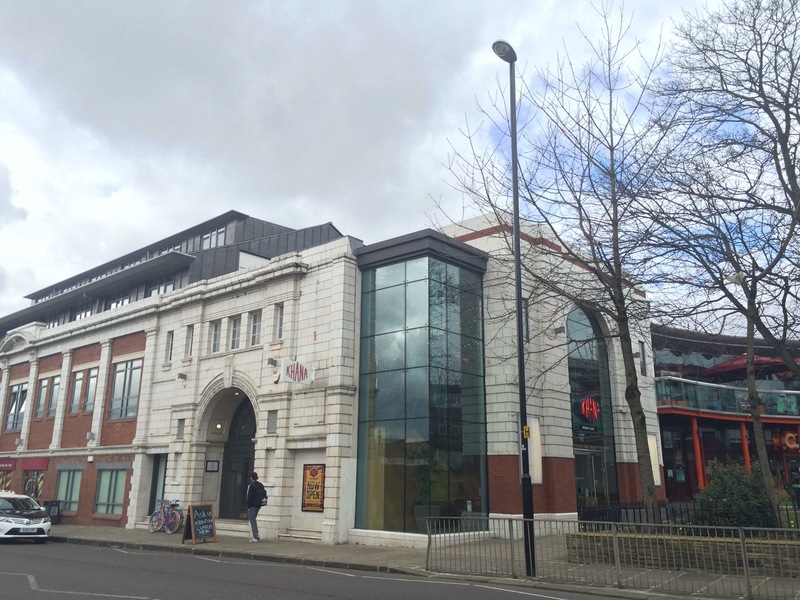 Friends of Ham – yes I now, who’d have thought it?! Obviously their wide choice of meat isn’t an option, but they do offer a nice selection of meat-free salads and some vegetarian cheeses too. Ephesus – this Turkish restaurant based in Rodley may have a menu full of meat based dishes, however I could graze on the hot and cold mezze alone, that along with their flatbread and I’d leave more than happy. In addition, there are another handful of veggie options such as their vegetarian pide and roasted veg with rice. 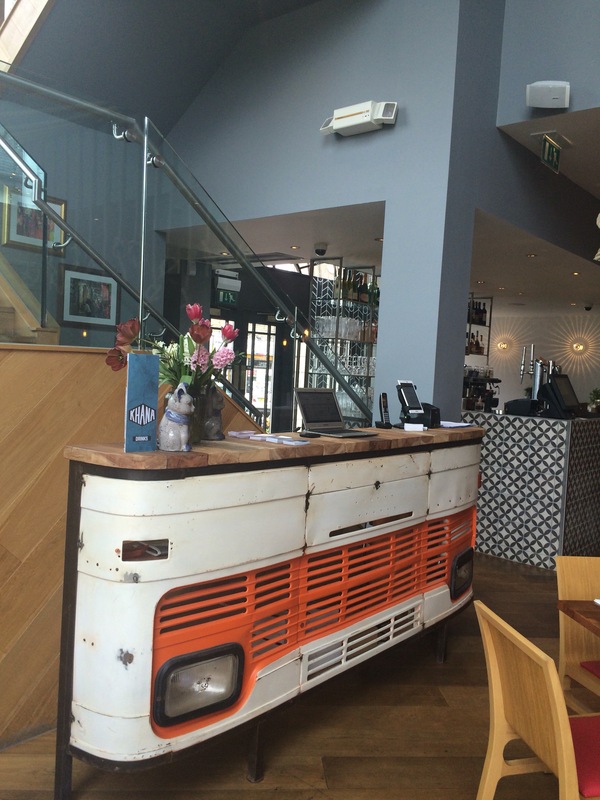 Zucco – one of Leeds’ best at the moment – food here is pretty awesome across the board. Their near legendary deep fried zucchini is a must. Mill Kitchen – this lovely cafe found in Farsley uses local sustainable ingredients as much as possible to produce a good selection of freshly made veg and vegan options. The menu’s full of choices be it breakfast or lunch, also open Friday and Saturday evenings. 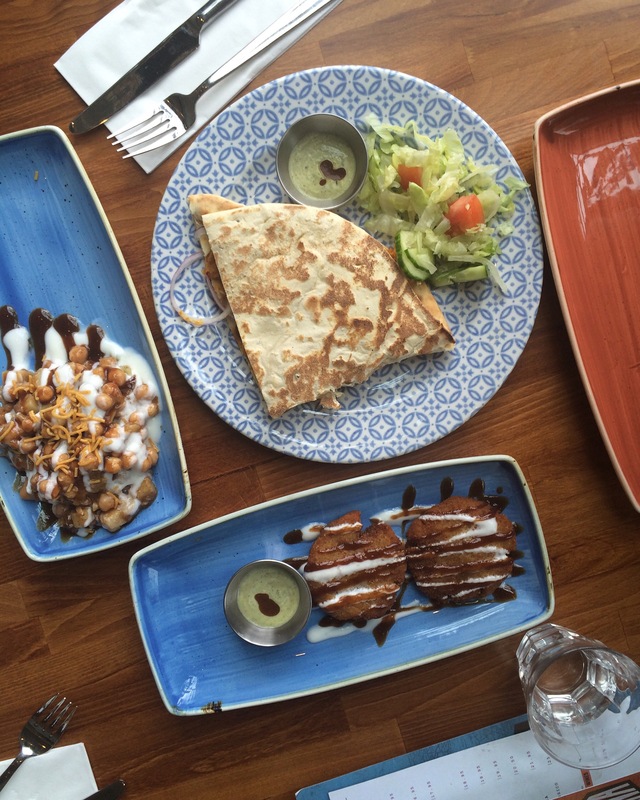 Cielo Blanco – this Mexican spot in Trinity Leeds has a much expanded menu compared to its Neon Cactus sibling, with options across the board; from their tacos, quesadillas to their burritos and sides. Bilbao Bar – whether you go for the tapas or their pintxos (Saturday), there’s always enough to get your teeth into. Their tortilla alone is worth a visit, in my opinion it’s the best in the city. Where would recommend for great meat-free food?